For most people, even just thinking about a long-haul move makes them feel stressed. While it’s never easy to pack up all your belongings and move across the country, there are some ways to save money and sanity during your move. First, look at your options. Unless you happen to have a large trailer lying around (if you do, or know someone who does—score! ), you will probably have to rent a truck, ship your belongings, or sell most of your stuff. The most realistic and affordable option, depending on your circumstances, will most likely be a mix of these. While you want to find the cheapest option, you also should take into consideration the time and effort that each one will include as well. Plus, check into what kind of insurance each option comes with or has available for an extra fee—especially shipping containers—because you want to make sure you’re covered just in case your belongings get lost or damaged in transit! Although this process may feel overwhelming, and the flurry of estimates and “offers” might seem confusing, there’s no need to stress. Take a look at these options, consider which one sounds best for you, and make some calls. Homes For Heroes offers moving deals, discounts, and savings throughout the country. Make sure you look at our deals page to see if Homes For Heroes can save you money on your move. The prices for these will vary greatly depending on how big of a truck you will need. The following are rough estimates (not including fees) based on example cities, dates and the price for a 15-foot truck, which can hold the equivalent of a one bedroom house or a two bedroom apartment. Penske: Truck rental starts at $150, but you pay $.99 per mile. As an example, Arlington, VA to Seattle, WA is 2,320 miles, meaning the total would be around $2,500. Smaller and local companies: There may be some other companies out there that you can rent a trailer from, just make sure you have a car or truck that can handle the towing. Hiring a moving service or renting shipping containers is much more expensive because it includes the actual shipping charges, which are quite steep, depending on how much space you need. However, this is a good option if you are planning to fly to your new city, have too much stuff to fit in a rental truck, or just don’t want to worry about driving a large truck across the country. Green Line Movers: This website gives you a quote based on the actual items you will be packing, so it’s difficult to get a generalized quote. Based on some general household items, the estimate came out to $2,300. UPack: One “Relocube” is $2,400, and five feet of space in a moving trailer is $2,300 with door-to-door service. If you have a lot of belongings, you might need three Relocubes or 15 feet of trailer space, making the total closer to $7,000 for either option. Delivery takes six to eight business days. Homes For Heroes UPack Special Deal. PODS: An eight-foot costs about $2,800, but you may need more than one. Allied Van Lines: Must call for quote. Mayflower: Must call for quote. 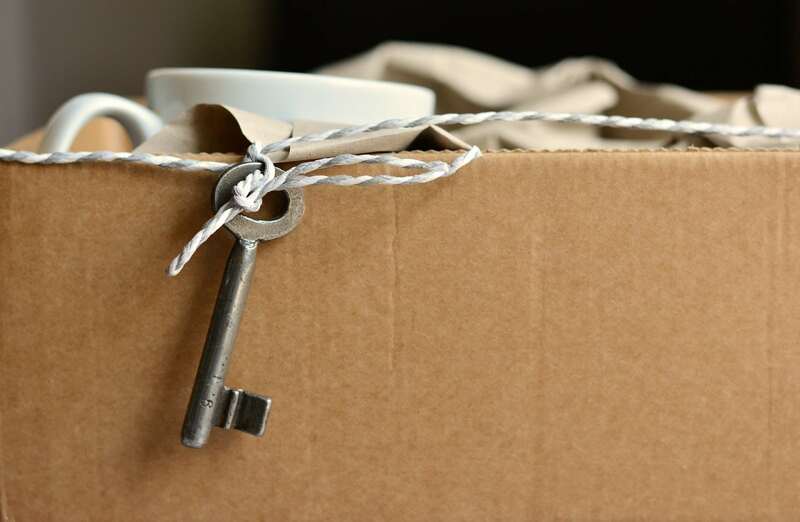 Even if you don’t want to sell all your belongings, getting rid of the stuff that you don’t want or need anymore is a great way to cut down on the number of boxes you’ll have to pack, which will save you money. Plus, you’ll earn some extra cash to cover other moving costs. 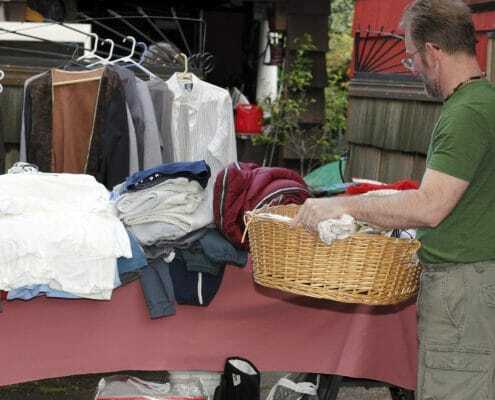 Having a garage sale is a simple way to do this, but for your more valuable items, consider selling them on Craigslist or apps like LetGo. You can also find Facebook groups for your local area to buy and sell furniture and other goods. If you really want to make your move easier, though, you could sell most of your belongings and furniture. If you go this route, you may be able to fit everything into one or two cars, which would cut down the costs of moving significantly. Just keep in mind that you’ll have to repurchase the necessities once you get there, which could end up being more expensive than renting a truck or container. It all depends on your situation! If you have AAA or AARP, ask every company that you call if they have a discount for these groups. Budget offers deals for police, fire, and EMT and a 20 percent discount for members of the military. PODS gives a 10 percent discount for active duty, retired, and veteran members of the military. Green Line Movers gives a five percent discount for military members. Some movers offer special military programs which may or may not include discounts, so this may be worth your consideration. If you can, try to be flexible with your dates. Doing so could get you a decent discount! There are always more expenses than just the move itself. Don’t forget about fuel, meals, snacks, and other move-related purchases. If you’re planning on flying, take the price of tickets and baggage fees into account. Check your credit card rewards points to see if you can redeem them for a free or discounted ticket! If you need to spend a night on the road, look at sites like Airbnb that may have cheaper rates than hotels. 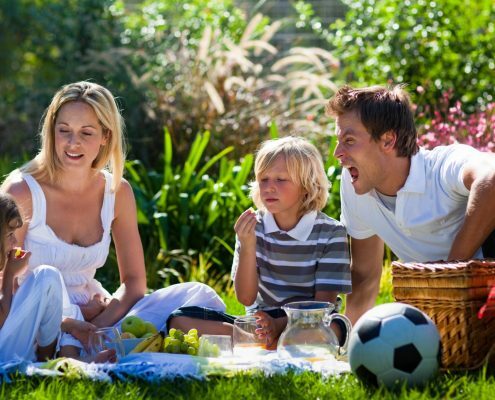 Plan a couple of activities to forget the stress and have fun with the whole family. Take a night off from packing to go to an arcade, or plan a night in a hotel during your drive that has a pool for everyone to enjoy. Hopefully, this overview helped you get an idea of how to make moving across the country as affordable and straightforward as possible. Don’t be afraid to compare prices! Just remember, even though it may feel stressful, it will all come together, and you will soon be in your new home and enjoying your new city!